They say a picture is worth a thousand words, well then this home is sure to leave you speechless. Smithfield neighborhood is prime location as it is located right off of Grelot Road. The heart of West Mobile. 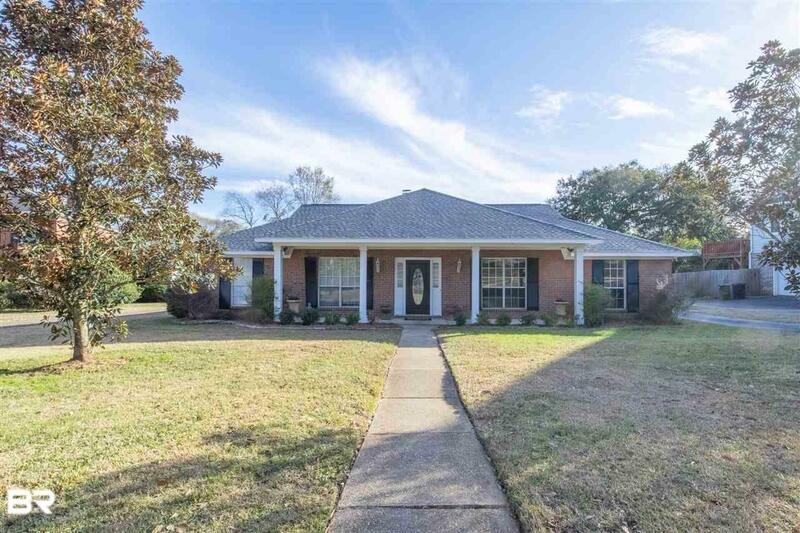 When you walk through the front door of this stunning brick home, you are greeted with brand new hardwood flooring. It flows effortlessly from the inviting foyer into the massive living room complete with raised ceilings, oversized windows, chair railing, and a fire place that is sure to keep you warm in those winter months. Making your way into the kitchen you will love the cozy breakfast nook perfect for any morning routines. The eye catching newly installed granite countertops provide an abundance amount of room for all your kitchen needs. Not to mention all the cabinet space perfect for hiding all the kitchen items you may not want on display. Moving on to the master bedroom, prepare to be amazed. This master is a retreat. Spacious yet cozy you will have so much room for relaxing anyway you prefer. Leading into the huge master bathroom you have a large garden tub, separate shower, and double vanity. There are also 3 guest bedrooms, along with another bathroom that has a double vanity. Regardless of whether you love to entertain or have relaxing night alone this back patio is a perfect get away. Schedule your appointment today before it is too late! !